Working in a school I come across a lot of kiddos with allergies. Wheat, dairy, peanuts, you name it. 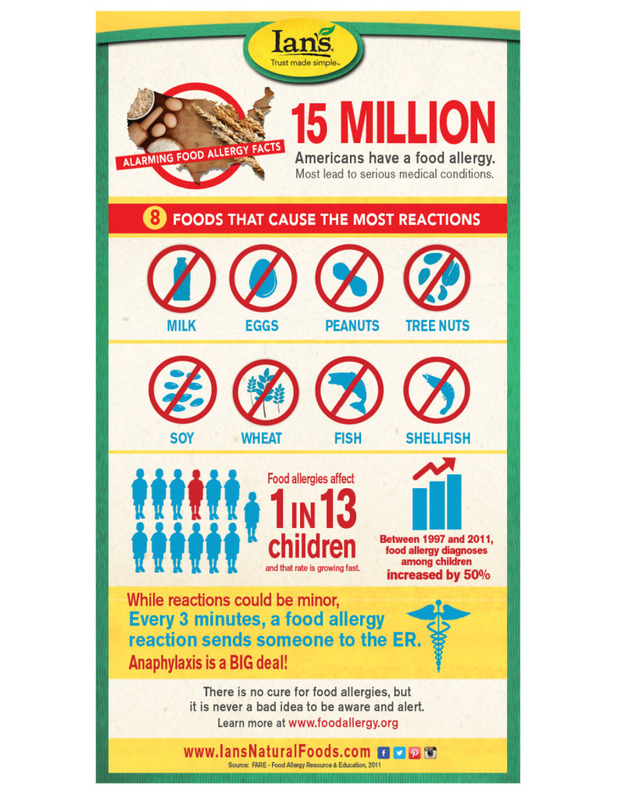 Ian’s Natural Foods made a great infographic about it! Do any of these surprise you? I guess I’m more sensitive to all of these because of my own sensitivities. I always need to plan ahead with snacks and know where to go when I’m out to eat, or else I’m pretty much just eating a salad. With the holidays coming up (see my awesome mini pumpkin pie scone recipe for parties, too) its easy to eat junk for just about 6 weeks! These are another healthy alternative, and just as delicious! 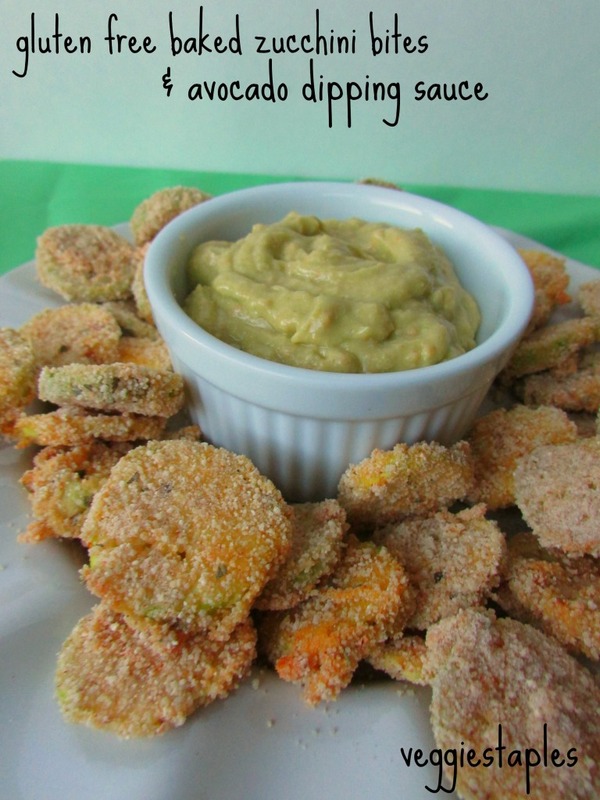 This is a snack you can bring to a party that you will not feel guilty about! It’s also awesome with this creamy avocado dip (with optional added kick)! Serve avocado dipping sauce with zucchini bites (while warm) and enjoy!